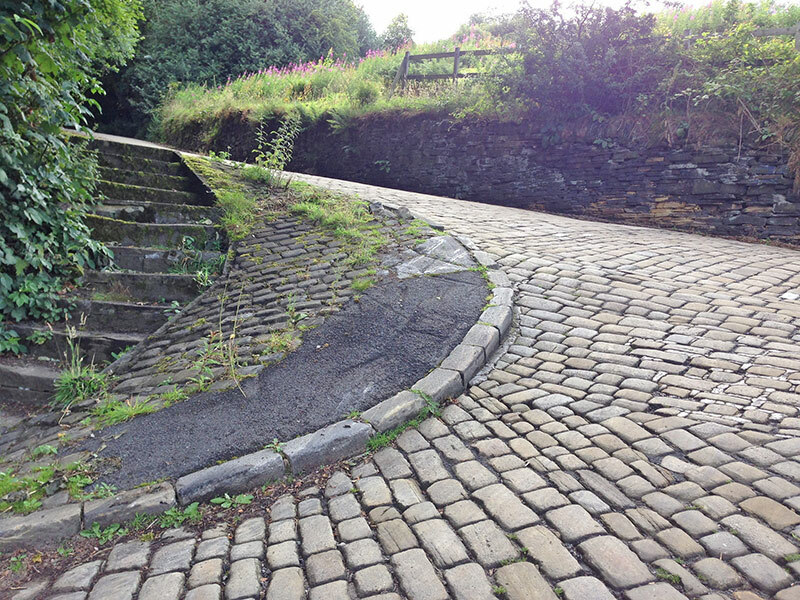 Shibden Wall is a real brute of a climb. 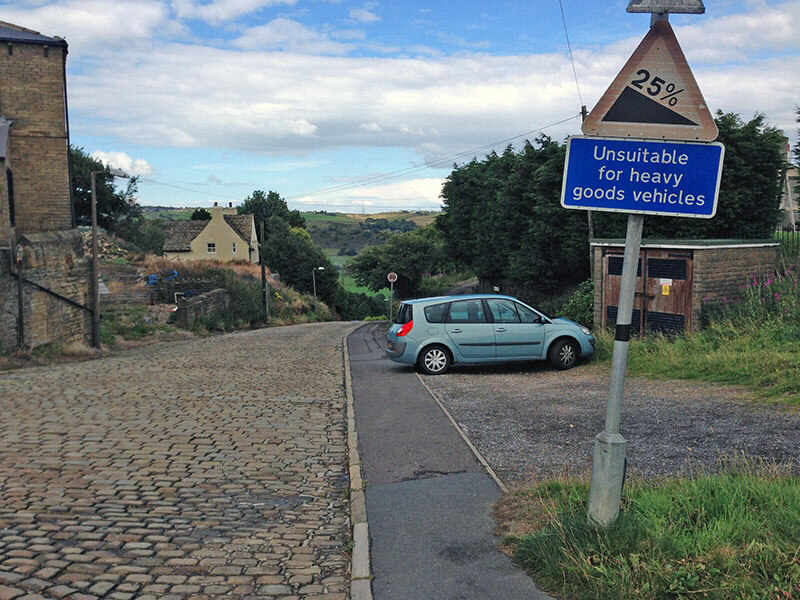 Half a mile averaging 15% is hard enough, but through in some tough cobbles, and it makes it a real classic climb. 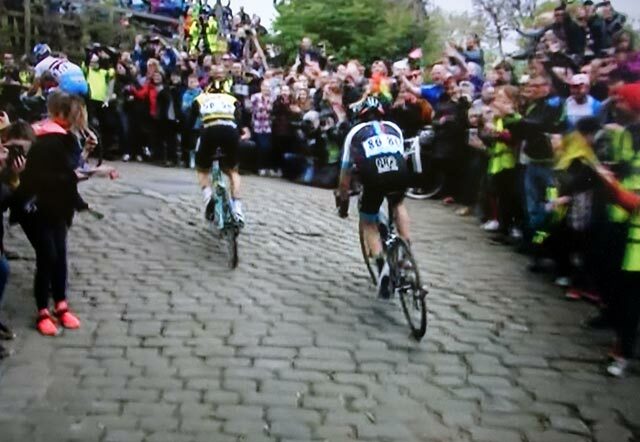 It starts off on tarmac, but don’t get carried away as the cobbles will soon slow you down even more. It’s at its steepest as you take a left hander. Avoid the inside of the apex, because it is ridiculously steep. The steepest apex. 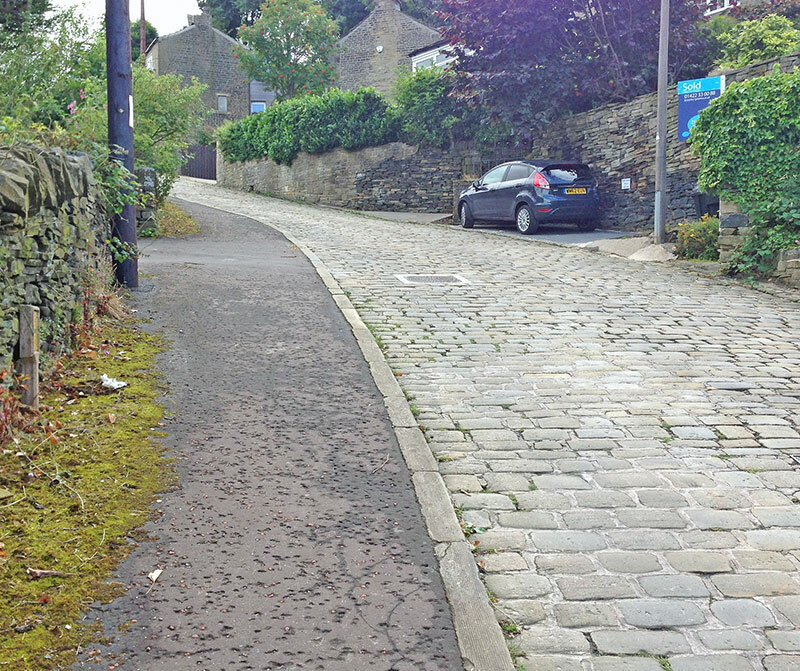 Cobbles in good state of repair. Keep on ploughing on. The last 200m offer a chance to get onto a pavement (if no pedestrians are around). 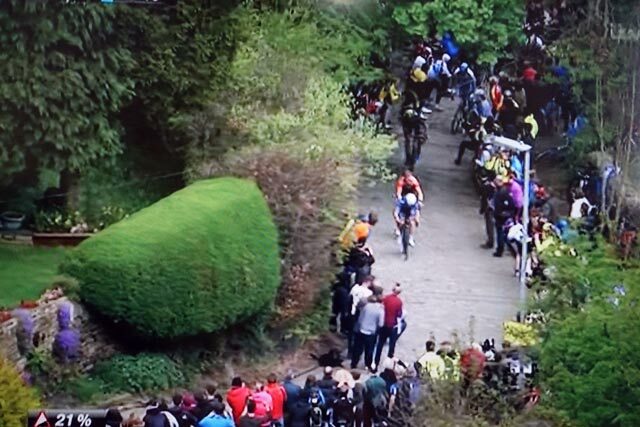 But, if you really want to experience the full effects of Shibden Wall keep on the cobbles because although the worse is over, your legs will be telling you otherwise. I cycled up Shibden Wall in 2014 during a very hilly ride around Halifax and West Yorkshire. Setting off from Menston I went over the moors, heading up to Trooper Lane and then Shibden Wall. 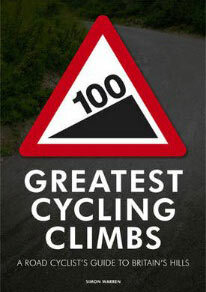 It was a difficult climb with many steep climbs already in the legs. On stage 3 of the 2017 edition of the Tour of Yorkshire, the route will pass up Shibden Wall on the route from Bradford to Sheffield. There will be 3,500m of climbing on that stage.